Gorge yourself on tapas, and witness emotive Flamenco in its spiritual home. 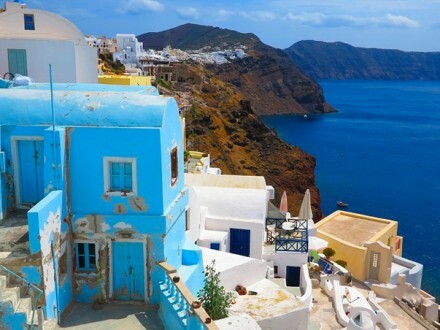 Head over into Lagos with its great beaches and awesome nightlife before venturing further into Morocco. History, culture and passion in abundance with balmy summer nights that really come alive after the sun goes down. 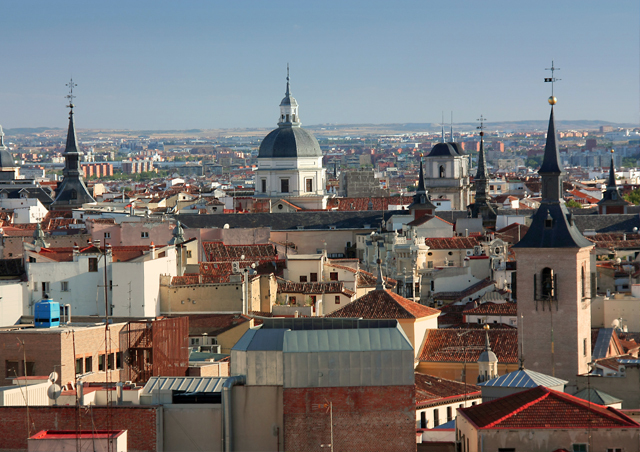 Meet your group in Madrid before driving down to Granada for your first night. En-route we make two amazing scenic stops. First up is the Imperial City of Toledo, a UNESCO-listed city. You have a couple of hours to lose yourself in the cobblestone streets and poke your head into the numerous stores filled with hand crafted steel swords and marzipan, you can also check out Toledo’s famous Cathedral featuring significant art works by El Greco. After leaving Toledo we head south along the route of Don Quixote – The Man from La Mancha! We will make a stop at Consuegra, where Don Quixote famously charged at the windmills (he thought they were giants!). The twelve windmills and ruined castle overlooking the plains of La Mancha make for a great photo. After Consuegra we head to the moorish delight that is Granada. 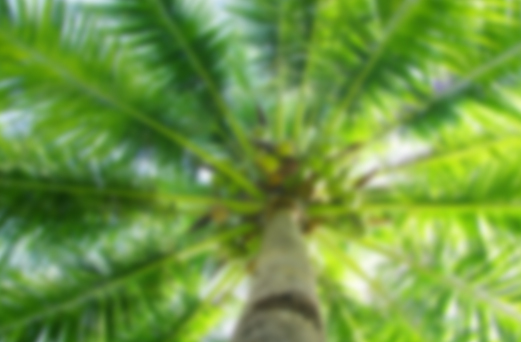 Tonight we will explore the rich culture and awesome nightlife that Granada offers. Join your guide and driver that evening and head to the Sacromonte Caves to see a live Flamenco show.This is one show not to be missed. You will have the opportunity to see Flamenco performed by professional dancers with passion and intensity. After the Flamenco show there are plenty of party opportunities. 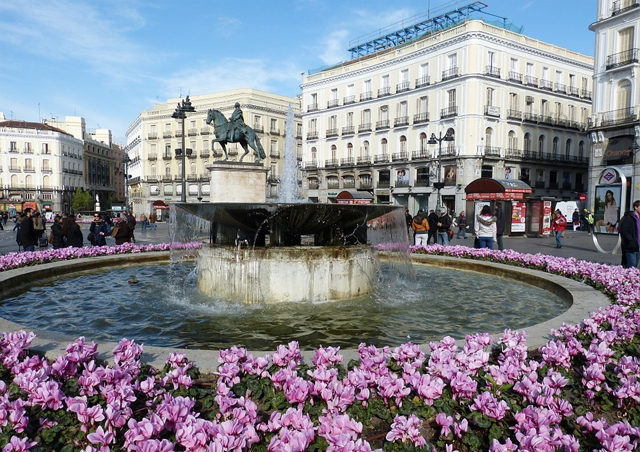 You have the entire day to explore Granada at your leisure. 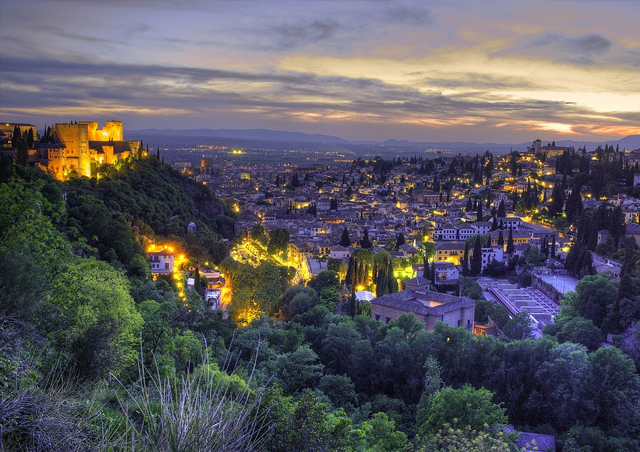 Be sure not to miss the most famous Moorish relic and most visited sight in Spain – The Alhambra. 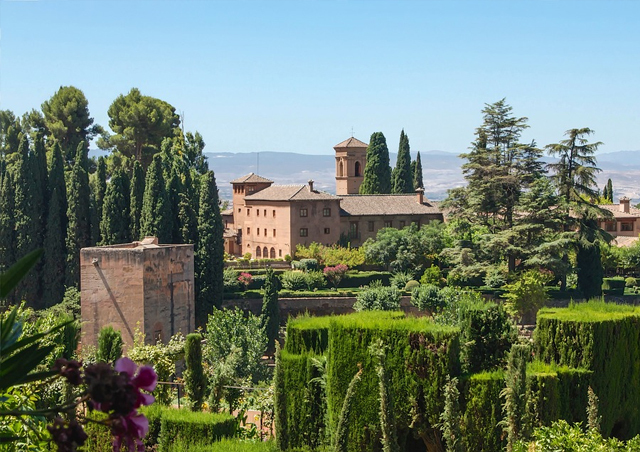 Built towards the end of Moorish rule, the Alhambra means ‘Moorish Palace’. Marvel at the intricate sculptures and relics carved into the walls, while not forgetting to look up every so often at the detailed ceiling work. Our optional tour includes entrance fees and a local guide; you also get to skip right past the massive queues that form here every day. 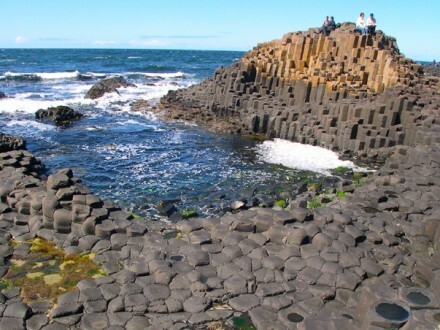 This will certainly be one of the highlights of your trip! If you’re ready to take it easy after the Alhambra, there’s always the chance of plunging into some Moroccan-style baths (Hammam). Jump in the cold, warm or hot pools, try the flavoured tea, or if you’re in real need of some relaxation, have an aromatherapy massage. Spend the evening exploring the tapas bars of Granada. It’s an early-ish start alas, but for very good reason! We’re heading down to the very southernmost tip of Europe and the small Spanish town of Tarifa. 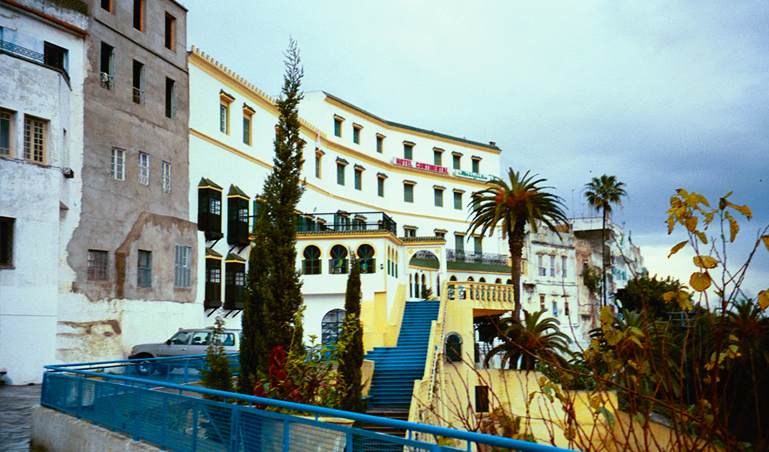 There’s time to check out this quaint town, before getting ready for the ferry onto Africa… Yes, we are going to Morocco! Hop on a fast boat to Morocco for a guided tour around Tangier – not just a new country, but a new continent. It is only 14km away (don’t forget your passport)! The evening excursion includes the return fast ferry from Tarifa to Tangier, a guided tour of the city, a local Berber pharmacy and a chance to test your bargaining skills with the local vendors! Dinner is included and is a traditional Moroccan feast of four courses: local soup, beef shish-kebab, chicken cous cous and a traditional Moroccan dessert, all washed down with mint tea (vegetarian option available). 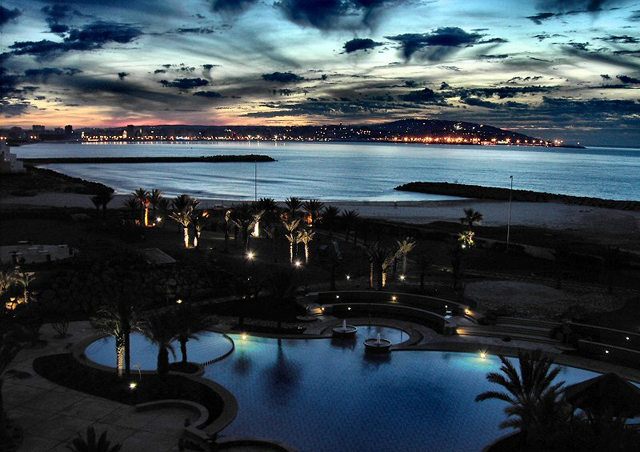 Go to sleep in Morocco. You can now tick this box without feeling guilty. 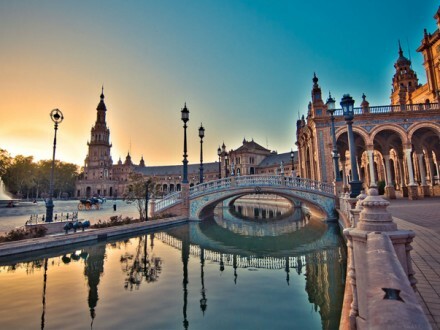 Today we head to Seville. We take a morning ferry from Tangier to Tarifa before hopping back on the coach and heading to Seville. After check-in you have the opportunity to go on Connie & Alfonso’s famous walking tour of Seville (Rick Steve’s personal Guide in his Andalucía documentary!). 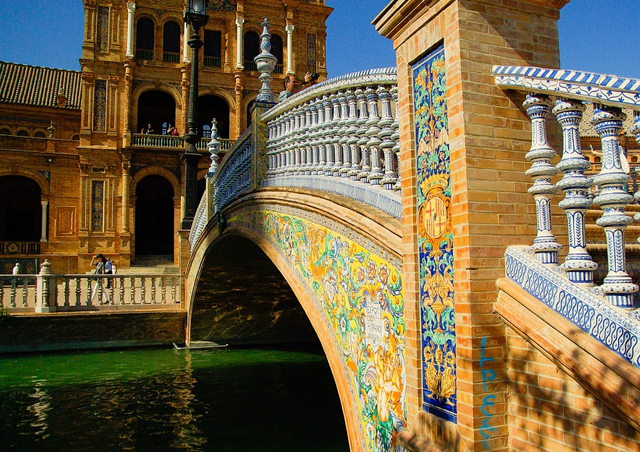 Your local guide will take you through the streets of Seville – from the cobblestoned streets of the Cathedral district through to the Santa Cruz area, providing entertaining information about Seville, its history and people. Early evening meet your guide on the roof-top terrace. 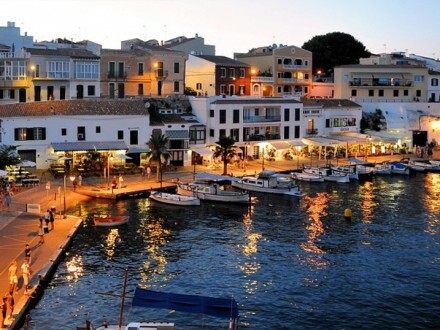 We will take you out for an optional tapas dinner before heading on to a few of the local bars. Party until the sun rises on the banks of the Guadalquivir River, where revellers take advantage of the outdoor bars lining the river banks. After some breakfast in Seville, we head off to the sun lovers’ heaven of Portugal, the coastal party town of Lagos – a heavyweight among the fun-loving enthusiasts. 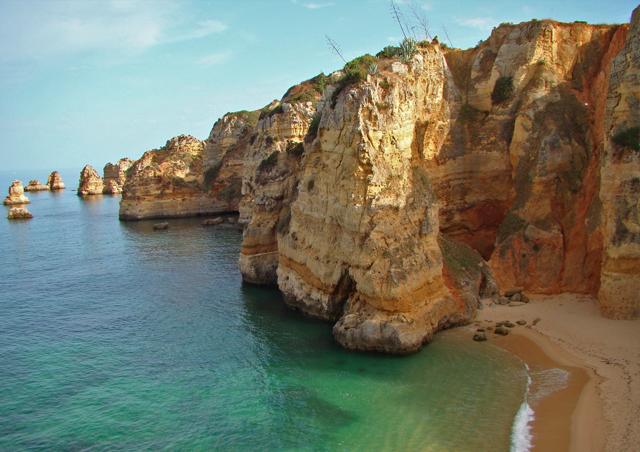 It is the hub of nightlife in the Algarve region and its beaches rate among the best on the Iberian Peninsula. After check-in we’ll be heading straight into the hustle and bustle of the old town. We head to one of the best, but budget conscious restaurants in town, before heading out on a pub hop. 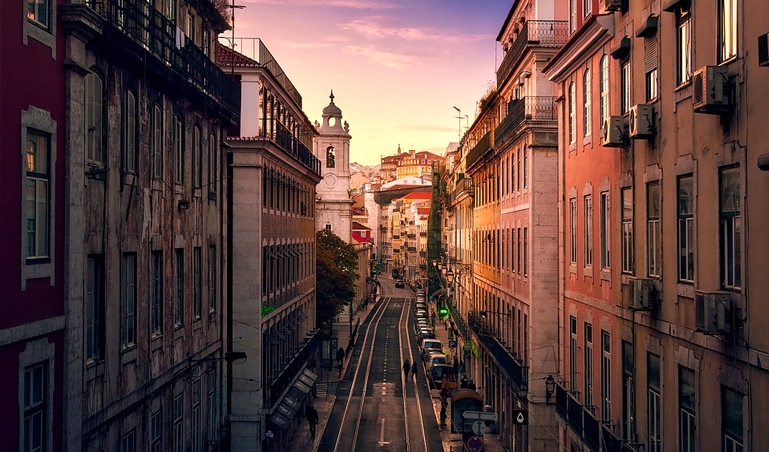 Many proclaim Lagos to be the party capital of the Algarve – tonight you make up your own mind as we’ll take you to two of the most famous pubs that make up this hedonistic part of Europe! 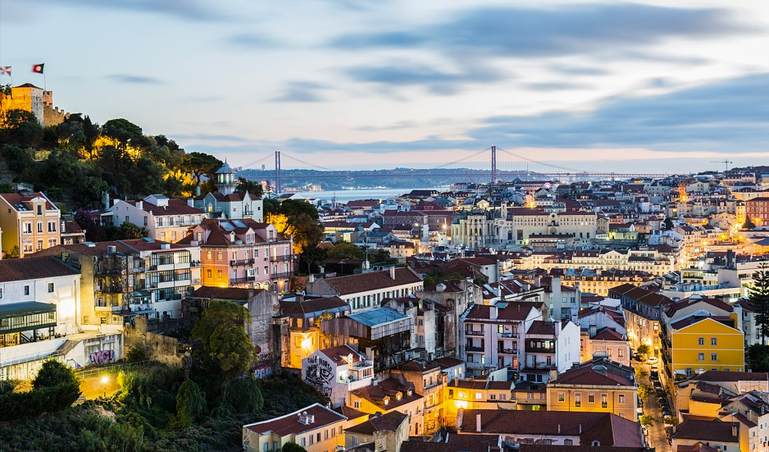 It’s time to say farewell to Lagos and head to the Portuguese capital, Lisbon. It’s just a short drive back to Lisbon, where we should arrive back around 6pm. That night you can join the group for a final night get together so that you can reminisce about the great week that you have just experienced on the Iberian peninsula.